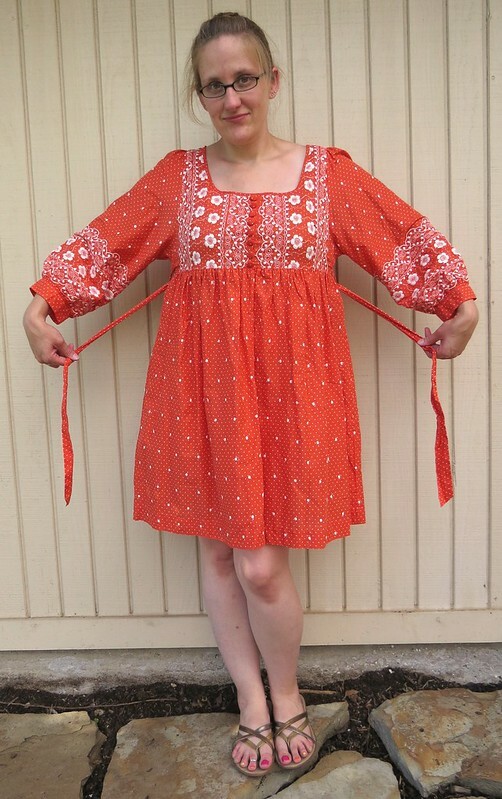 Styles from the 1970s are back this season, and I've had this darling dress hanging in my refashion closet for a while now that would be perfect! I found it for $6.50 at one of my favorite thrift shops. The sleeves were a little overwhelming though. So I chopped them off at their shoulder seams, trimmed several inches from the tops of the sleeves, and then reattached them. And just like that, I have a brand new dress for the summer heat that's well on its way already. For more details and photos, check out CarissaKnits! 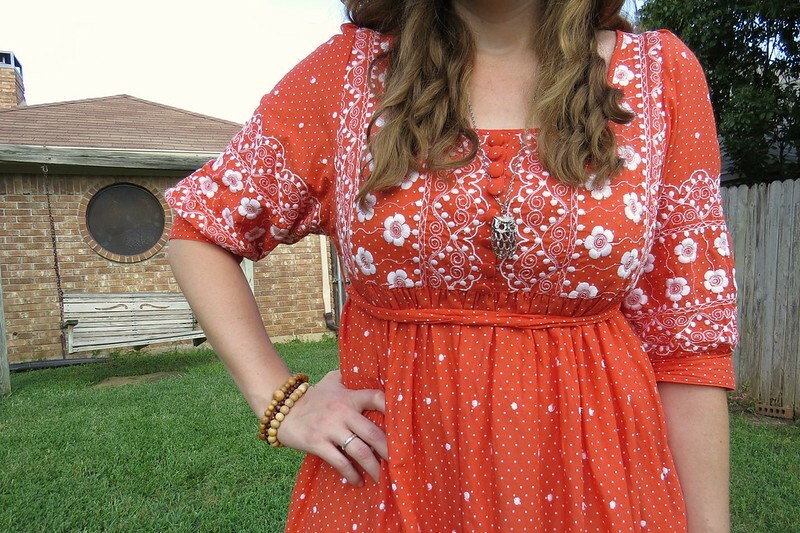 I love the flower patterns and the colour of this dress but you were right about the sleeves. 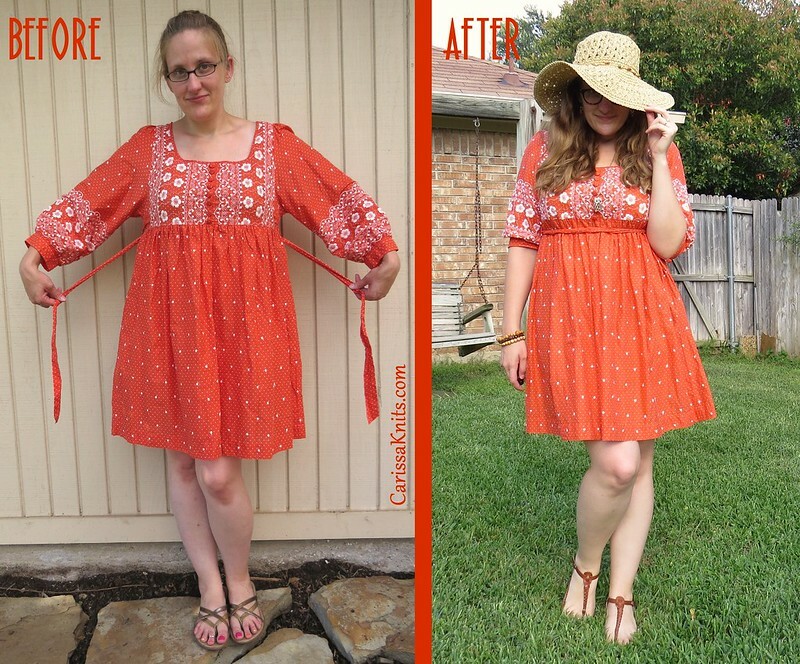 With the exception of the original sleeves, I love everything about the dress -- the style, color, pattern. I agree the sleeves were overwhelming. Great job.